Triumph Motorcycles has launched the all New Bonneville T100 today at INR 7.78 Lakhs (Ex-showroom Delhi). 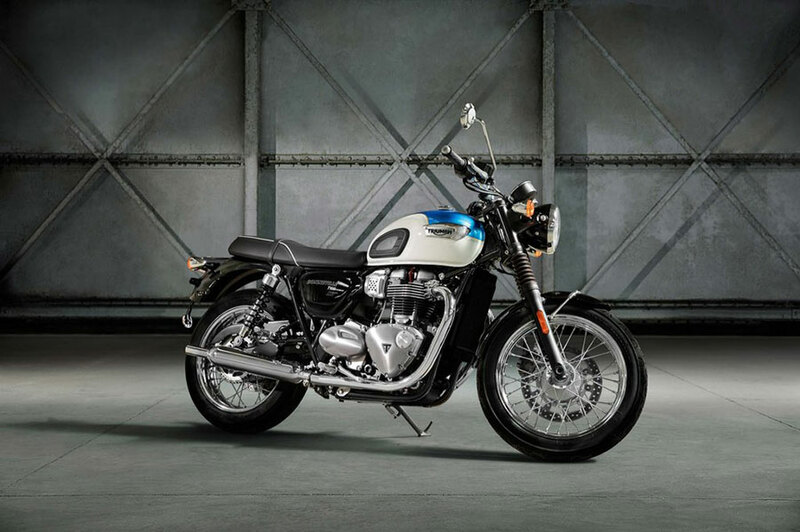 Bookings for Bonneville T100 is open from today across all Triumph motorcycle dealerships in India. 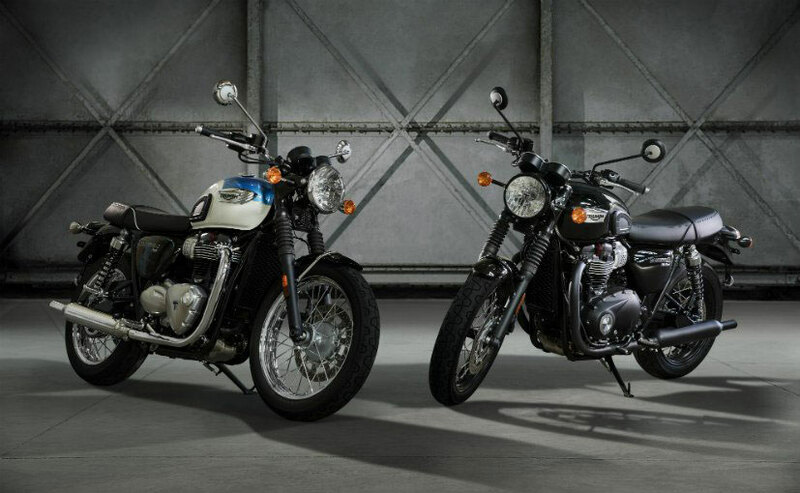 Triumph Bonneville T100 has been strategically placed in between the popular Bonneville Street Twin and Bonneville T120. Thruxton R is the top-end model in Triumph’s portfolio. The all new Triumph T100 is powered by 900cc, liquid-cooled, 8-valve, SOHC, Parallel-twin engine. When it comes to power figures, Bonneville T100’s engine develops 55 PS of power and 80 Nm of torque and the engine is mated to 5-speed manual transmission gearbox. The motorcycle gets 310mm floating disc upfront and also a single 255mm disc at the rear. The Design of Triumph Bonneville is attractive. The Triumph T100 motorcycle gets a brand new tubular steel and twin-cradle frame. Also featuring the motorcycle is 41mm KYB forks upfront and twin KYB shocks with adjustment for pre-load. Triumph Bonneville T100 gets USB charging socket as well. The company said new Bonneville T100 is less heavier than other motorcycles in its portfolio and has got shorter wheelbase, rake and the trail. The low seat height position can please every rider. The seat height is at 790mm. 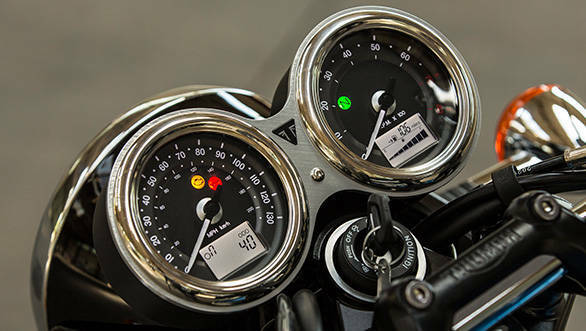 Other features of Triumph Bonneville T100 are twin-pod LCD instrument cluster that has an analog speedometer, analog tachometer, odometer, 2 trip meters, gear indicator, fuel gauge etc. The instrument cluster of Bonneville T100 also displays average and current fuel consumption, traction control and throttle mode status as well. New Triumph Bonneville T100 is priced at INR 7.78 Lakhs (Ex-showroom Delhi). The bookings for T100 motorcycle has already started. What is your views on new Triumph Bonneville? Let us know by commenting below.